Filmmaker Zara Hayes takes an in-depth look at Dian Fossey, from her lonely childhood to what drove her to endanger her own life for the sake of the gorillas of Rwanda. Dian Fossey: Secrets in the Mist reveals the inside story of the tragically murdered activist. Zara is a British filmmaker who works between the UK and the USA. 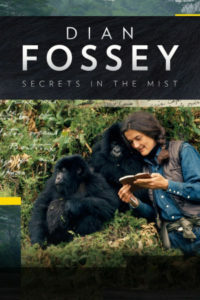 The production of Dian Fossey: Secrets in the Mist was aided by National Geographic and is voiced by Sigourney Weaver. Today, we’ll also take a journey into the mind of British author and philosopher Alan Watts, who greatly influenced 60’s counter-culture with his interpretations of Buddhism and Zen philosophy. 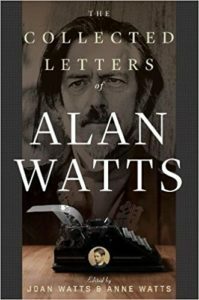 His daughter, Joan Watts, captures the colorful and controversial life of her father in The Collected Letters of Alan Watts. For this collection, Watts’s letters were curated by two of his daughters, Joan and Anne Watts, who have added behind-the-scenes biographical commentary.